ThemeParkMama: Eggy Play The Egg Cartons You Play With! My kids are 13, 12, 9, 7, and 5 and they all enjoyed playing with Eggy Play. At first I thought that possibly it would be really cheap and not hold up to what my kids would dish out especially because they are older. I was wrong in so many ways. Eggy Play is a fun toy made in The Netherlands, which is pretty neat in itself for us. 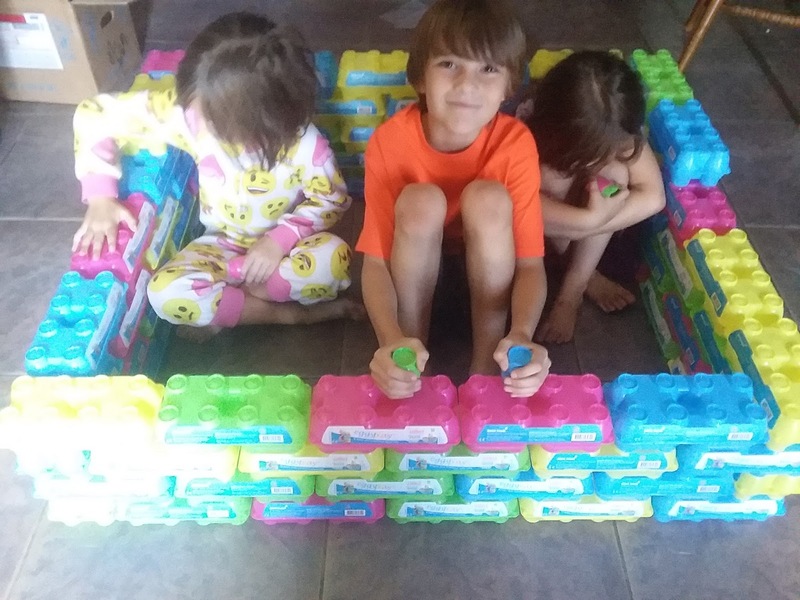 Eggy Play is made from a company called Twinpack and Dava Foods which specialize in making cartons to package and transport eggs. 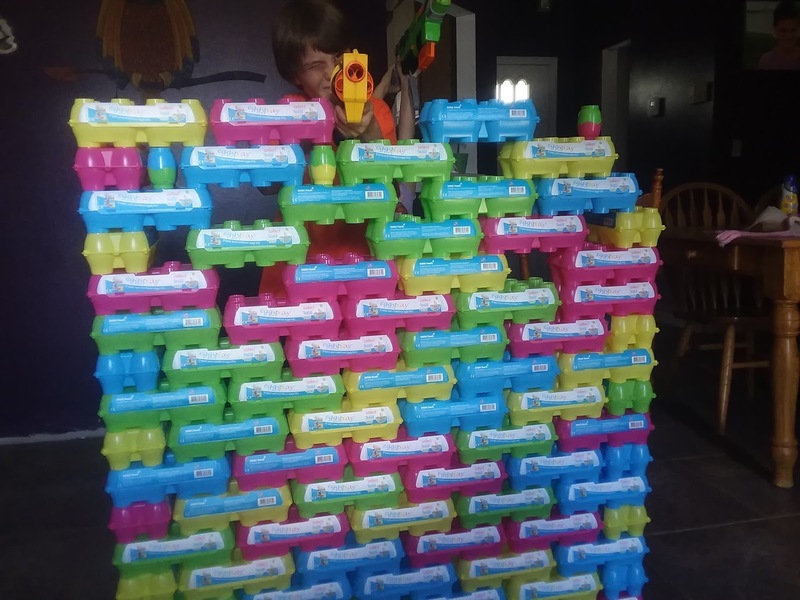 Which they one day thought to themselves hey look my kid enjoys stacking up the cartons why not make a toy, which they came up with the idea of Eggy Play. Eggy Play is a series of bright fun colors of plastic egg cartons that kids can stack and build anything they can imagine. I received a case of 100 and at first I was thinking omg they are going to take up so much space, but once I released how easy they are to take apart and stack within one another I was pleasantly surprised on how little space they took. The kids at first were like what do we do with these and once I showed them all bets were off. The kids spent hours and continued to play with for days after. 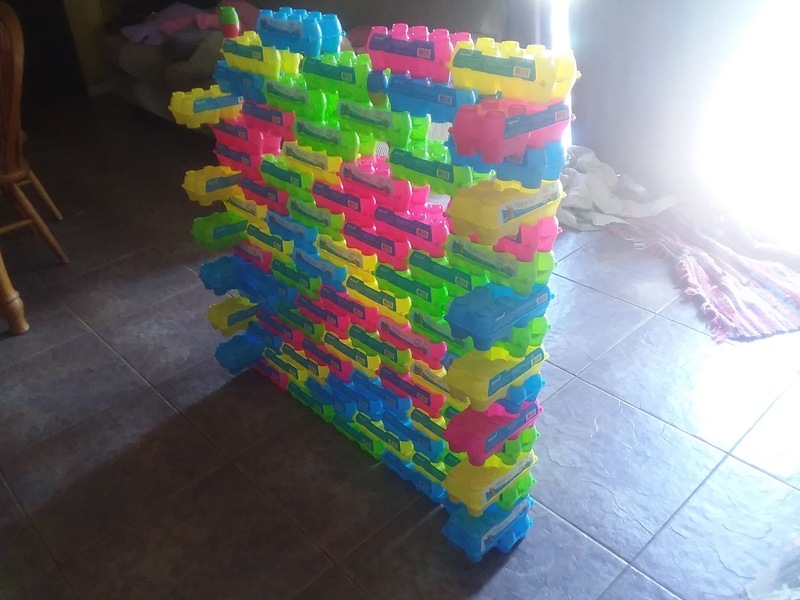 They started with a fort, then they turn it into walls blocking off their side of the house, then piling them up to block each other in their rooms. 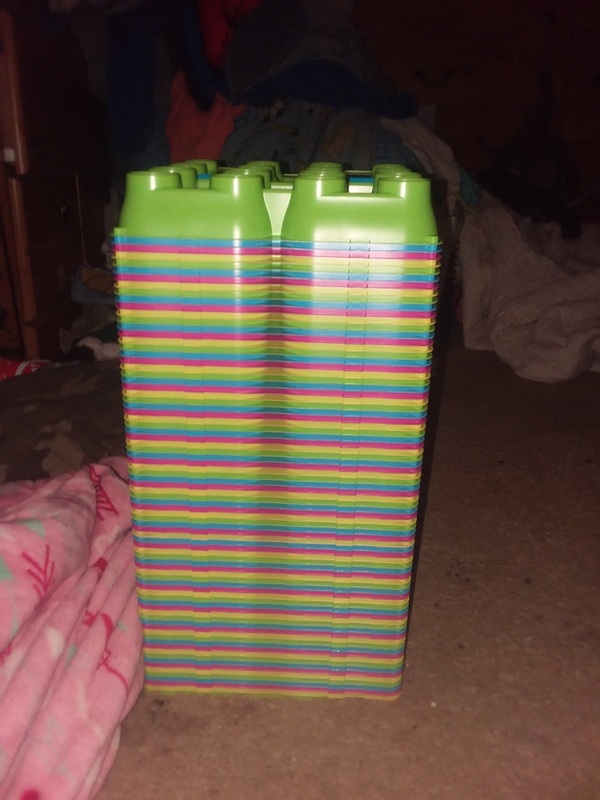 The best part about the Eggy Play is that they are extremely lightweight so they won't and don't hurt when going through them, falling on them or having them fall on you.